The Chinese brand Xiaomi secured it’s place in the Indian market because it gives great devices in the budget category, and that is also the main reason for getting a huge fan base. Well, now Xiaomi gets a new competitor in the budget category and it is also from China. 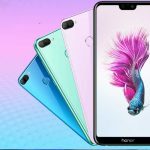 I’m saying about Huawei’s sub-brand Honor, as the smartphone is really doing a great job in the Indian market, and the company is bringing multiple numbers of budget-oriented smartphones with a really cool design and specification. That said, late in last month, Honor launched a device called Honor 9N, and it also falls in the budget category. It feels like a premium device and we can say that it is a premium smartphone in the budget category. 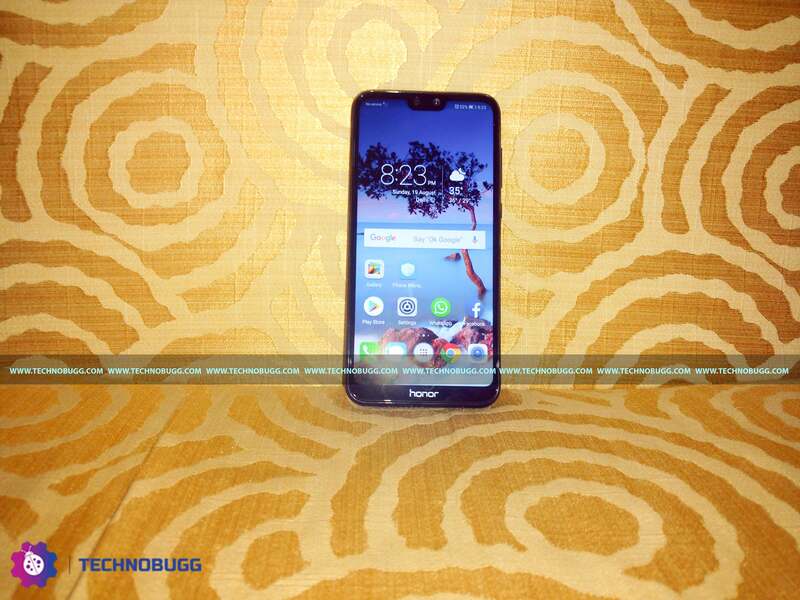 The Honor 9N comes with a modern specification and it also comes with the latest GPU Turbo along with a great build and design, the device has three variants 3 and 4 GB of RAM along with the 32 GB, 64 GB and 128 GB of internal storage respectively. 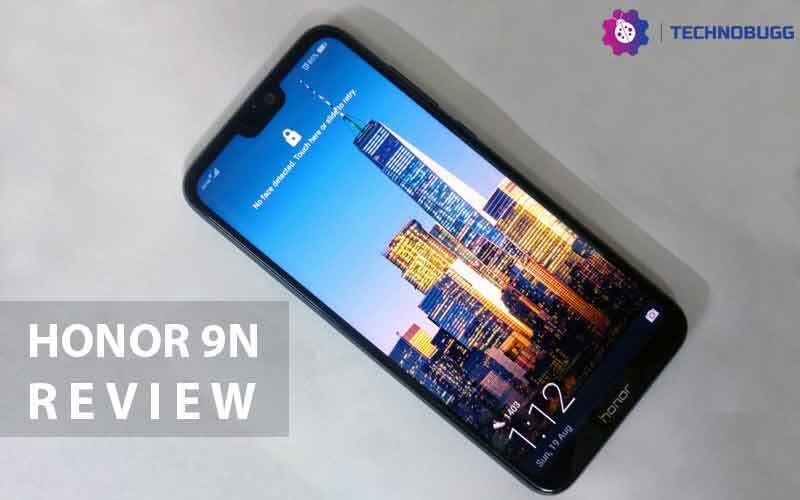 In this article, I will review the all-new Honor 9N and I’ll try to give all the answers to all the questions about the device. So, without wasting any time let’s dive into the article to know more about the newly launched Honor 9N. In the box, you will get the smartphone along with the charger plug and data cable which you can connect for charging as well as for the USB cable to connect the smartphone with the PC, SIM eject pin. Moreover, you will also get a transparent plastic cover to protect the rear side from unwanted scratches. And of course the warranty paper. However, the company didn’t include the headphone. The device has really great designing setup, it is coming with a glass back and it is coated with a 2.5D curved glass and the smartphone also has the round edge which gives comfortable grip to the user. 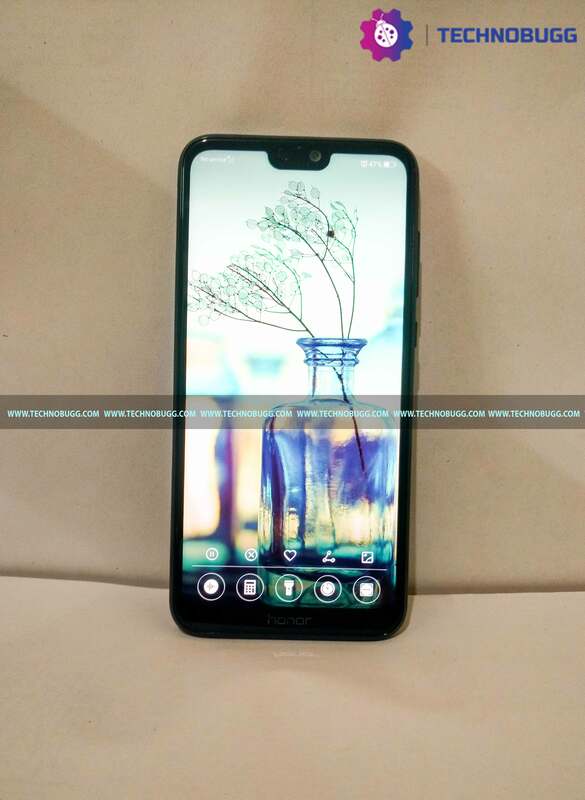 The device also has the notch on the top of the display and it houses the selfie camera along with the speakers. 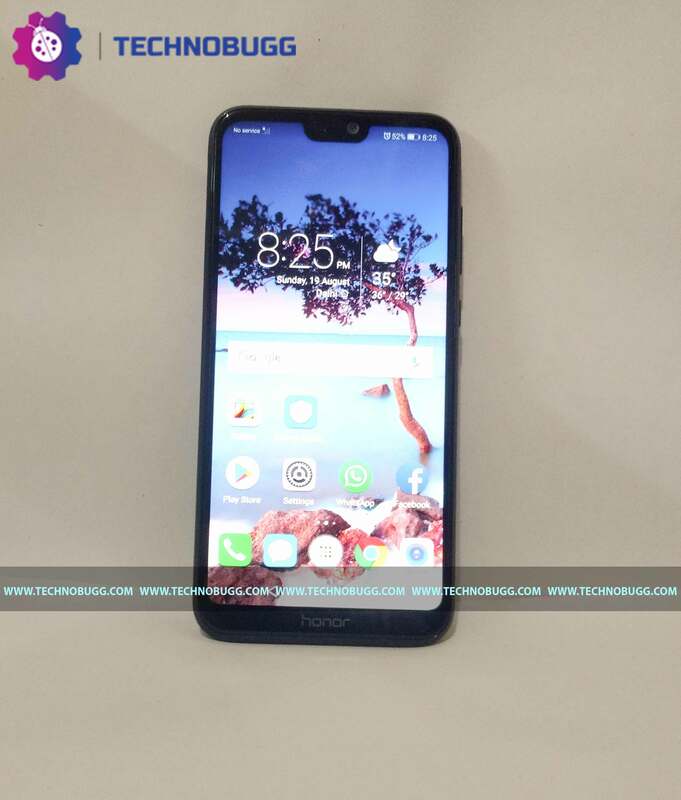 At the rear side, the device has dual camera setup and it is placed in the horizontal orientation with the LED flash and there is also a fingerprint scanner along with the Honor branding. The right side of the device has the power button along with the volume rockers, and left side of the device, we can see the SIM card tray, and in the bottom of the device has a 3.5 mm headphone jack micro USB charging port and a mono speaker. Overall, the design is very attractive and well build for the budget category, and I repeat that the device has a premium feel. The Honor 9N comes with 5.84 inch FHD+ display with 2.5D curved Glass atop along with 19:9 aspect ratio, and there is a notch on the top, the display also has 2280 x 1080 pixels resolution. That said, it offers excellent colours and amazing viewing angles. As the device has Full HD+ resolution it will not give you much pain in viewing both display even when you are in outdoors. Moreover, you can also read the display very easily during the low light conditions or during the night, which means the display will not hurt your eyes and give a comfortable level for reading the display. Well, if you are a person who doesn’t like the notch, then you can hide it. So, I would love to say that the company has balanced the display of the device and again that’s impressive for the given price bracket. The Honor 9N is powered by 2.36 GHz octa-core Kirin 659 processor and paired with 3/4 GB RAM, along with Mali-T830 MP2 GPU for the graphical task. 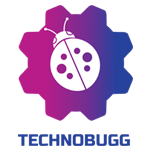 The smartphone also features GPU Turbo, that will improve the graphics performance and reduces the power consumption. That said, GPU Turbo won’t be available on the device at this moment, but it will be rolled out later via a software update. In terms of storage, the device comes with two variants; 32 GB, 64 GB and 128 GB of internal storage, (but we are reviewing the 64 GB variant) and the device also allow to expand storage up to 256 GB via microSD card. However, it comes with hybrid-dual SIM support which means we can either use dual SIM cards or one SIM card along with microSD card at the same time. 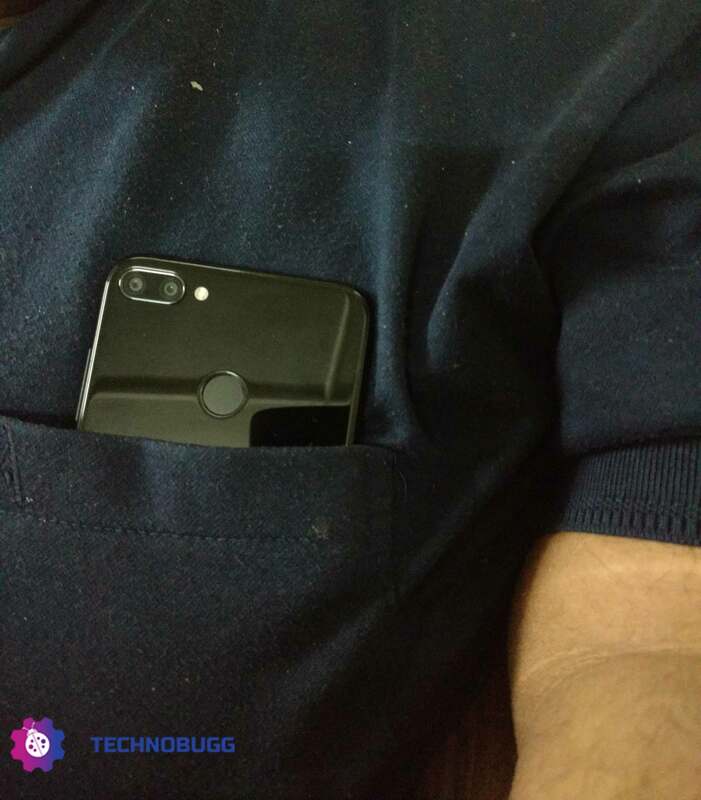 Well, the device performance in a good manner and it also capable for the multitasking and we can also use it for heavy usage and it will not disappoints. Speaking about sound, the device gives good quality of sound output, as it comes with mono speaker grill that is really good for the audio and it also has 3D surround sound effect which will also improve the experience of the sound. It features a dual camera setup at the back with the combination of 13 megapixel + 2 megapixel with f/2.2 aperture, 5P Lens, PDAF, Portrait Mode, AR Lens, and LED flash, along with 16 megapixel front facing camera with f/2.0 aperture, Portrait Mode, AR Lens, 3D Facial Detection, 4-in-1 Light Fusion Technology and Screen Flash. After using the rear camera, I realize that it is okay and no one will complain about it in daylight shooting. However, there are some issues with the colours and contrast that are not bad but it is fairly okay. I don’t think that someone will complain about the camera quality for the given price bracket, but I am sharing my opinion about the camera department of the device. That said, normal smartphone users will not see any kind of issues in the camera. Speaking about the front camera, I would love to say that it is really good and it also beautifies the captured images. You can check out the camera samples below. The smartphone has 3,000 mAh battery and it lasts for the whole day in a normal usage, which means you don’t need to charge the device multiple times in a day until you don’t use the device aggressively. Well, that means the device will not disappoint you. Speaking about the charging time, it takes 55 minutes to charge 43% from 6%. And it takes two and a half hours to fully charged. The device runs on Android Oreo 8.0 which is based on EMUI 8.0 on top which is really good to have on a budget smartphone. In my experience, its pretty smooth and awesome but the device is pre-installed with a few bloatware apps, and it also comes with Facebook. Having said that, the device has few special features like body sensor and you need to login with Huawei’s account to use such features. 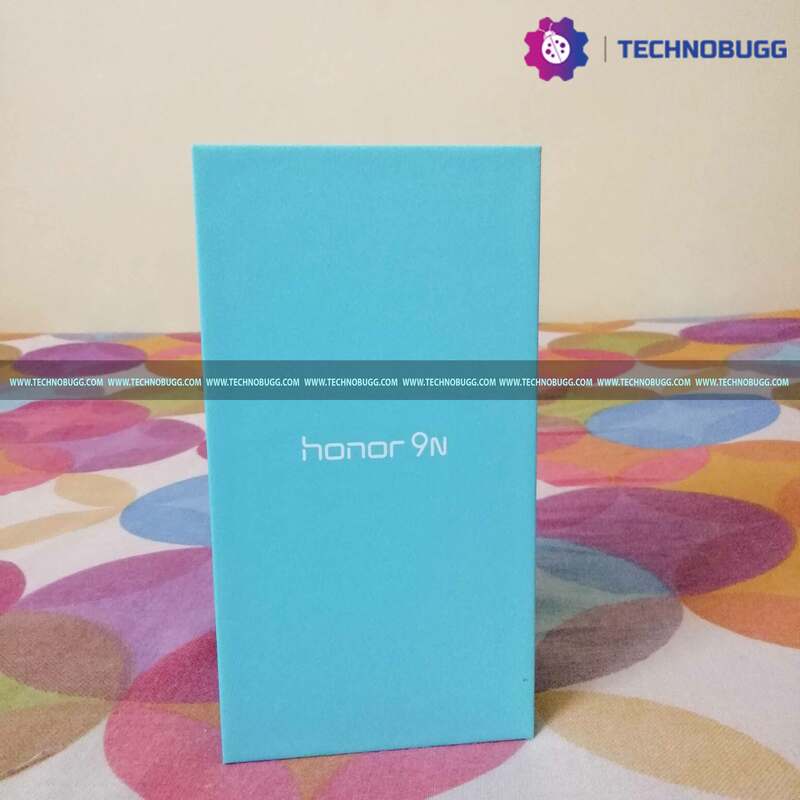 The Honor 9N is coming with really good specification along with a cool designing setup, and it is a perfect smartphone for a user who wants for the day-to-day usage. Moreover, the smartphone also gives the power and style at the same time. It misses few features like the fast charging but I don’t believe that someone will complain about that kind of issues for the given price. And I repeat that the Honor 9N is a premium device for the budget category. Redmi 3s vs Redmi 4 comparison review: Should you upgrade? ?